Dry Type Transformers "transform" voltage either up to a higher voltage (step up) or down (step down) to a lower voltage. Normally, that transformation takes place when power line transmission voltages (such as 500 kV) are "stepped down" to a much lower level, suitable for use by iindustrial power systems (30 kV) aor residential (120-240V). Dry type transformers accomplish this so efficiently that they are very often suited for indoor applications where oil-filled transformers are thought of as unsuitable. “Dry type” simply means it is cooled by normal air ventilation. 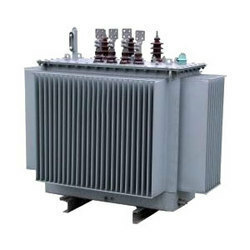 A dry type transformer does not require a liquid such as oil or silicone or any other liquid to cool the electrical core and coils. They require minimum electrical maintenance and provide many years of reliable trouble-free service. Unlike liquid filled transformers, which are cooled with oil or fire resistant liquid dielectric, a dry type transfomer utilizes only environmentally safe, CSA and UL recognized high temperature insulation systems. Dry type transformers provide a safe and reliable power source which does not require fire proof vaults, catch basins or the venting of toxic gasses. These important safety factors allow the installation of dry type transformers inside buildings close to the load, which improves overall system regulation and reduces costly secondary line losses. These are a rather mature product and technology but, of all the components in a power system, a transformer replacement can be a physically challenging event, extended delivery of a replacement or repair unit and expensive transportation costs. These are transformers whose core and coils are not immersed in an insulating oil. Fire-resistant dry type or "cast resin" transformers are well suited for installation in high-rise buildings, hospitals, underground tunnels, school, steel factories, chemical plants and places where fire safety is a great concern. Hazard free to the environment, dry type transformers have over the years proven to be highly reliable. Dry type medium voltage distribution types are regarded for their high level of quality and service reliability. With the continued development in the technology of materials, designs and manufacturing methods, the use of dry type medium voltage transformers is growing rapidly throughout North America. Dry type medium voltage transformers are suitable for any commercial, industrial, manufacturing or production process application. Distribution (power) transformers, unit substation transformers, drive & rectifier duty and distribution transformers can be offered for a variety of environmental conditions and built to meet the most onerous duty. In addition to conventional indoor applications, dry type medium voltage transformers are located outdoors, on drilling platforms, in network vaults and in every location where airborne contaminants pose a risk to electrical equipment. 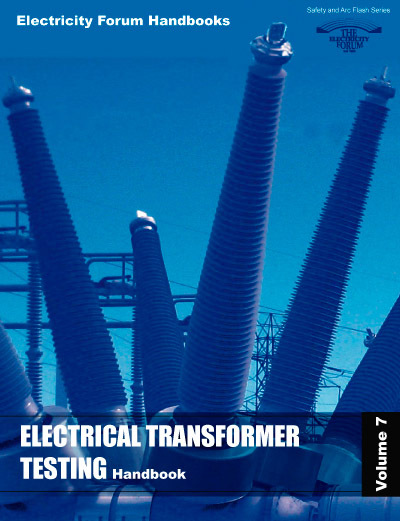 Most transformers comply with quality assurance programs stated by ISO and CSA Z299.3 standards. Most are designed and manufactured in accordance with the latest specifications. Electrical tests are performed to ensure a quality product. Mechanical tests are also performed throughout the manufacturing process in order to maintain the dependability and quality of the product. Most are available in type 1, 2, 3R and 4 sprinkler proof enclosures. Constructed of heavy gauge steel, treated with a phosphate conversion coating, and then painted with a electrostatically applied baked paint (ASA 61 Grey), a transformer will normally be protected against rust and corrosion.